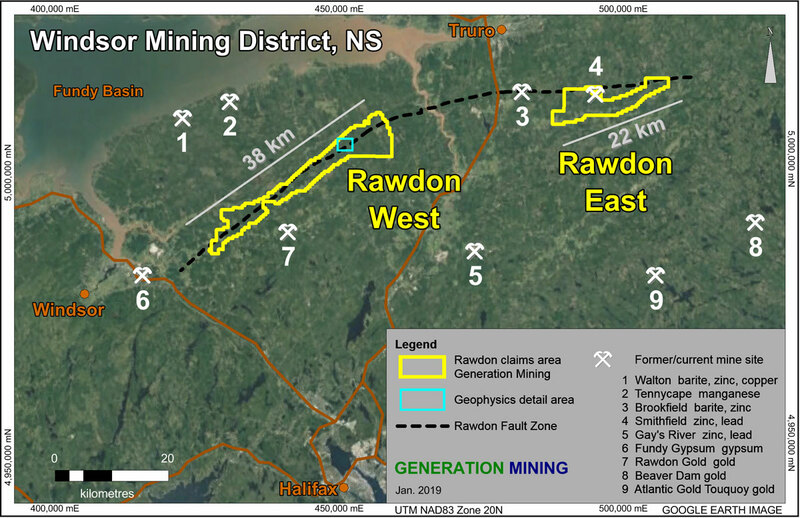 Toronto, Ontario – February 7, 2019 - Generation Mining Limited (CSE:GENM, the “Company”) is pleased to announce additional results from the 2018 airborne VTEMTM survey on the western portion of the Rawdon property in Nova Scotia, where 976 line kilometres of VTEMTM survey were flown in late 2018 (Figure 1). Figure 2. 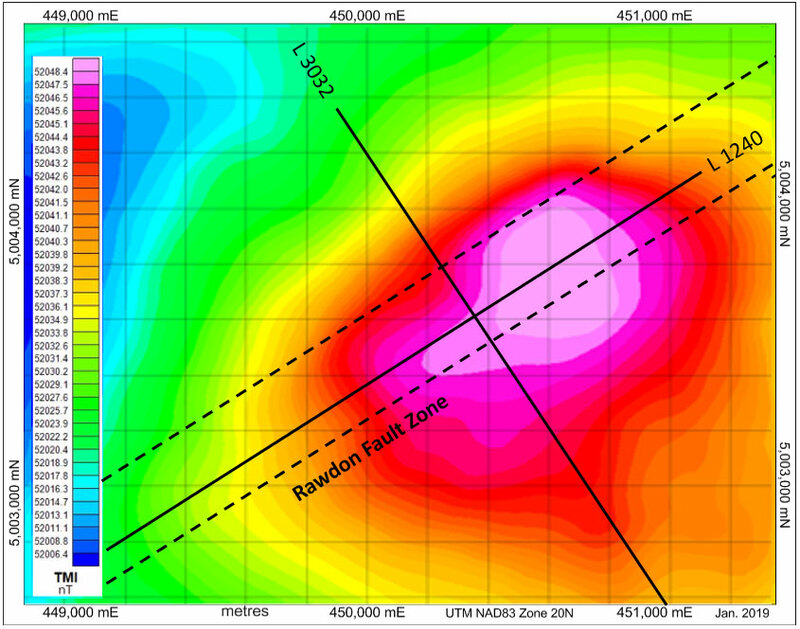 Plan views of color contoured Total field magnetic and EM VTEM data for the Rawdon West property, the interpreted location of the Rawdon Fault Zone (RFZ) and the location of the NE anomaly (inset enhanced). VTEM profiles L3032 and L1240 are also shown. Figure 3. 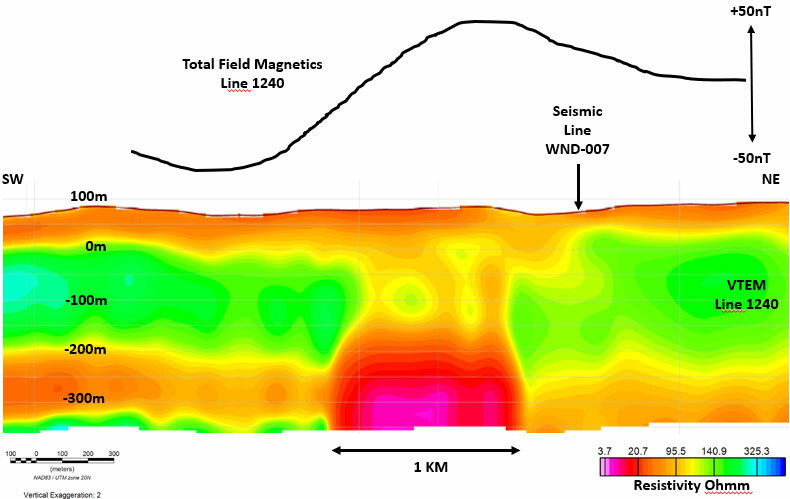 NW to SE, Interpreted Seismic section from line WND-007 (Kavaid 2011), across the RFZ. VTEM magnetic (TMI) profile from L3032. 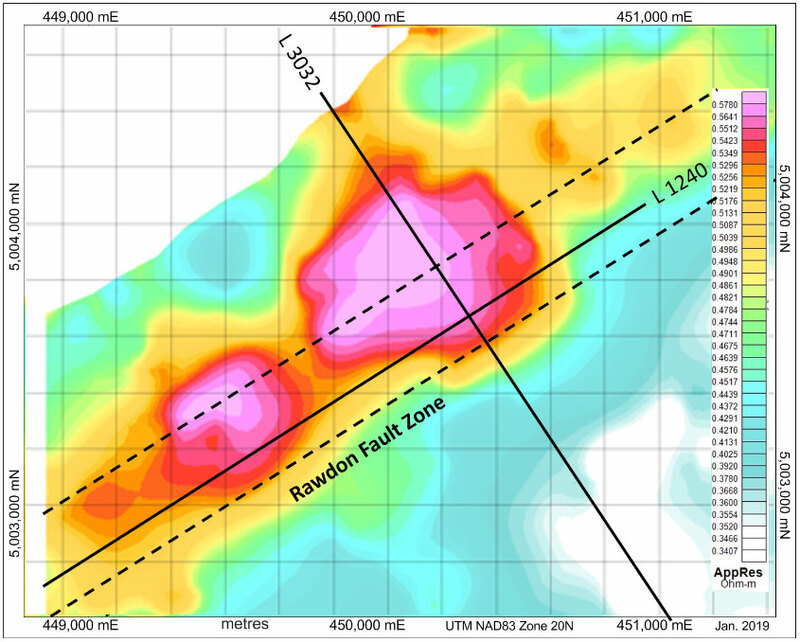 The interpreted location of the VTEM anomaly source (red) is within the area of the RFZ (dashed). Figure 4. 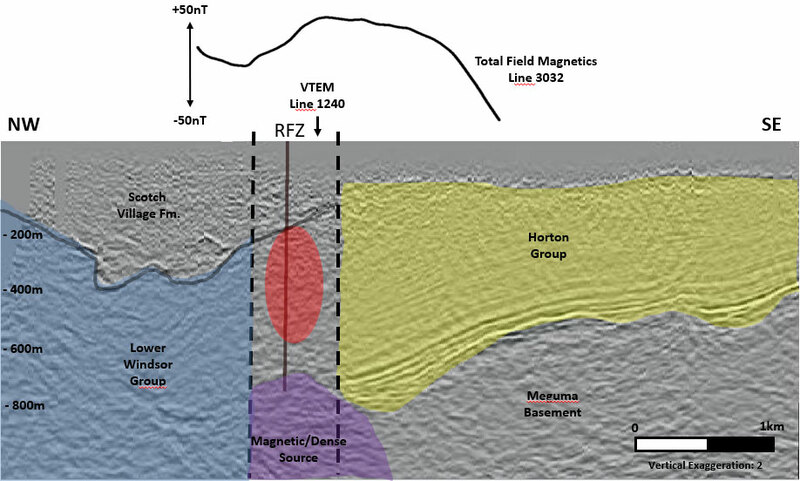 VTEM line 1240 TMI profile and 1-D VTEM resistivity model, sub-parallel and within the RFZ.